Prices for events vary. Mini-Carnival and Marketplace events tickets are $1/ticket. The Great SBCC Pumpkin Race is FREE, but contact SBCC to register. Dessert Theater $8 Youth (7-17), $10 Adult (18+). Spook Fest is a Howling Halloween Celebration for the whole family! Activities include The Great Pumpkin Race (think pinewood derby with a twist! ), carnival games, arts and crafts to make and buy, treats and a marketplace to buy Halloween goodies! Loads of Halloween fun for all ages! Expect classic carnival games with a Halloween twist, food for the family and entertainment for all to enjoy. Tickets can be purchased at the SBCC Front Desk the day of the event for climbing wall, inflatables, and games. Come enjoy our free Halloween-themed performance by the Magical Ventriloquist Vikki Gasko Green! Vikki is an award-winning ventriloquist who delights audiences nationally and internationally with her unique blend of drama, magic, education and audience participation, exciting young and old alike. Bring your decorated pumpkin complete with wheels to compete in the Sixth Annual Great SBCC Pumpkin Race, a part of our SpookFest line-up of events. Contact SBCC to register. Don't want to race your pumpkin but you love to decorate them? We have added a contest just for you! No rules to follow except that a pumpkin must be incorporated into your design. 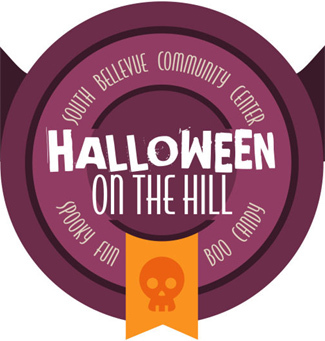 Celebrate Halloween this year at our annual Dessert Theatre on the Hill. This year you will be captured by the story of "Nightmare unhouse." Come enjoy some wonderful dessert and a great show presented by Bellevue Youth Theatre. Children 7yo+ and older. Registration required. Registration required for some events; fees for activities vary. Contact SBCC at 425-452-4240 for more information and to register.